PLEASE NOTE: We can only reserve a unit for up to 14 days even though this site allows up to 60 days. Our Staff will contact you directly to finalize the details on your reservation. You can also get more details on our Free Move-In Truck at that time. The name is Affordable Storage for a reason. The prices are unbeatable, the customer service was wonderful. Heather rocks!!! Also the groundsman, I'm not sure what his title is but even he was very pleasant. Customer service like this is hard to come by nowadays. The grounds were well taken care of and my overall experience was awesome!! Thank you Affordable Storage! Great location, security and staff. 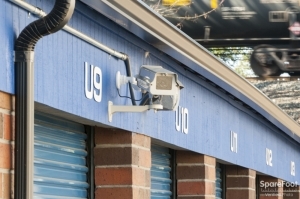 Very helpful and affordable storage center. 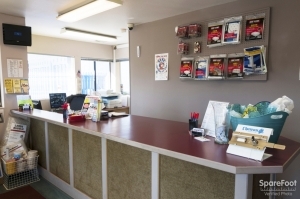 Good price for vehicle storage; and friendly and helpful staff. I arrived at the office about 25 minutes before the close of the business hours. Carmen was very friendly and efficient in paper work. It seemed that parking my car there was a good decision. 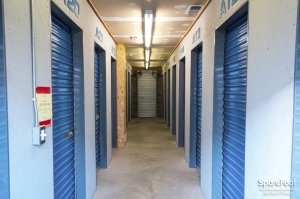 I rented here 2 months ago and i have had nothing but a great and wonderful experience with the management of this storage place. They are nice, helpful, and secure. Would definitely recommend. Well Priced and Great Customer Service! Easy process and wonderful staff! Super afforadable, staff is friendly, and the paper work was easy and fast. 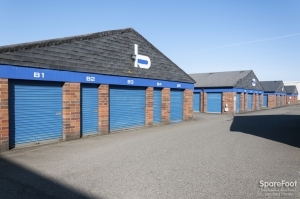 The staff were helpful and very friendly, it's a secure space, and the price is right! Excellent personal & attentive customer service; a rare but greatly appreciated experience. I was as attentively listened to & this was not only felt but proven by the effort put forth to provide the most appropriate option all while reiterating my specific scenario. In addition when I contacted the facility the staff, especially Christina put a lot of time & effort into assisting me through an extremely difficult situation with the heart of compassion, grace and sincerity. In the midst of a chaotic & devastating trauma I found a reminder of the beauty still remaining within unexpected places & experiences that blessed me with true humility & gratitude. The effort of all 4 individuals I encountered was impactful in ways they may never fully know. Thank you. I really do not have time for this. This is my second time storing stuff at the facility and I love the hospitality that I got from the guest host. She was amazing and charming. Friendly staff made it easy to choose. Overall very good experience - Crystal was friendly and helpful. Was very helpful to be able to "rent" their truck. It was not completely free as there is a reservation charge for the truck instead of a rental charge. But still a good value. Clean, friendly, professional and helpful. I had a 100 percent satisfaction experience. Found this place on spare foot, never would have considered otherwise and we are happy with everything. Great folks in the office. Clean and easy to move in things. Very affordable. I would recommend this facility over any other I've been too. Very clean & friendly staff. Great price, very helpful and friendly! I was in a pinch and needed a 5x10. 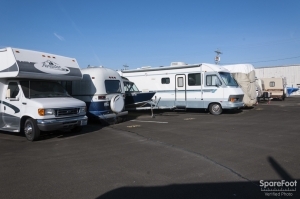 They were the only place in the area that had a unit available, but they had the best prices AND offered a truck to use for move-in. I did have an issue with my gate code at first, but they fixed it quickly. Great customer service overall. I showed up to pay for my storage and the girl that helped me was amazing, I was having a very stressful day and she made things so easy to take care of. I can't remember her name. It was exceptional service. Decent facility. Cheapest place I could find and they give you a lock! I'll be recommended to everyone! Great price, friendly staff - The only problem is they are having issues with the access codes for the gate. Had I put everything in a uhaul and couldn't get in the gate I'd be pissed. Only was able to get in because I arrive at about 4:30 to unload. They close at 5. Sherry was great, very friendly, place looks really clean. Think I made the right choice. Outstanding help made for seamless move to area. The staff smile and are very helpful. The facility is well kept. 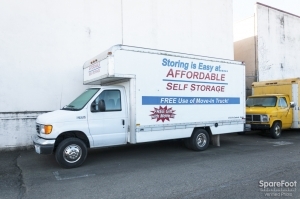 I was so relieved to find a very large storage unit at an affordable price. while we sell our current home then build our retirement home on the East Side! Very friendly and helpful staff. 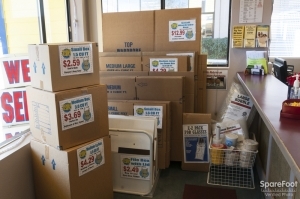 We live in Bonney Lake and very happy to Store here in Kent! Terrific people. Would happily recommend it. The staff were friendly and very professional. Worked quickly to process the paperwork and provide us with information and security set up. 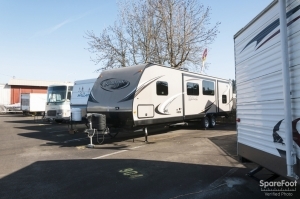 Easy to reserve, easy to complete transaction and easy to move in. For a small reservation fee we had a large truck for longer than we needed FREE! Only drawback would be only 30 miles included. Fair Price, Good management - don't reserve online. Call the location. I reserved this unit over the phone from the website phone number. The person I spoke with promised the truck for the day we moved in but the manager at the facility rented the truck out the day before our move date. Be sure to check with the actual location about reserving the truck if you want it. Other than that major inconvenience, it's a fair price and the onsite manager is very nice. Happy to have my place cluttered with boxes etc... and storage unit helps save stuff not being used right now! Also, I can always go there to get what I need and get organized without being overwhelmed with the clutter. 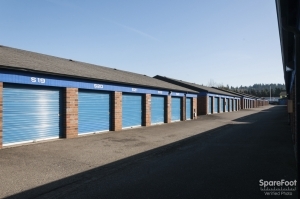 This storage facility in Kent has a friendly staff, affordable storage (hence the name, hehe), and immaculate grounds. Would store there again. and does not have a spare room in the house one lives in. the house is kept free off "stuff"! Super nice manager at this location! I appreciated how nice the manager Shelly was to work with. I wish the general area where the storage is located garnered a better clientele. Lots of reported break-ins to the property. A little pricey but good access and facilities. Great 24/7 access, good customer service, ok pricing. Fair facility have had better. Nice and clean. Security is good. The only drawback is price. Very nice lady who helped us but she was all alone and needed help. Customer service was great, unit was clean and secure, price was better than anywhere else in this area fir the large size I needed. And you get to borrow their moving truck for free on moving day. What more could you ask for in a storage place? It was very easy to move in, and the staff was very pleasant and accommodating. The facility had a friendly and helpful staff, I would recommend them to anyone looking to store stuff. The people were very kind and helpful through out finding and getting a storage place for my car. I feel safe leaving my car at the center. I also know that I can contact them at any time and check on things even though I am far away. Thanks for everything. The lady that helped me was amazing. The storage unit was fine, but we had a lot of things and needed their truck. I opened the storage account with a reluctant worker who wanted us to come back since it was 4:50 and she didn't want to stay, but ultimately did and signed us up. Things were rushed, and the van rental was decided upon for the next day. I quickly signed contracts, so yes, my fault, but never once did anyone say "if you're late returning the truck, we'll take all of your deposit, even though we know traffickn this place is insane at 9am when the van is due back. Criminal. We are not wealthy people, and with all of the other moving expenses, this really hurt our food budget. I think things would be wonderful if they had another sign to help show the location of the building and where to find the office. Reserved a smaller unit then rented. The lady we worked was very friendly and accommodating. Office staff was great to work with! The front office staff were friendly and helpful and got the paperwork done quickly. (Note to owners: upgrading to tablets and having it all done electronically would be even better!) The unit was clean and ready to go. Thanks! I moved into a storage facility. I had to to load my truck and unload my truck in the same day, and by ten o clock that night we only had a third of the truck unloaded. 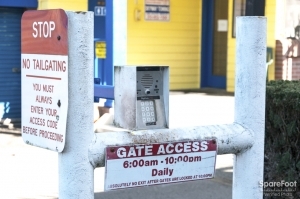 The gates closed at ten o'clock and I was locked in all night. So by 9am I had no charge in my phone to call for assistance. And I was supposed to return to the truck at 915, obviously I did not have the time. I was charged an extra 310$ besides the first 189$. This storage facility wound up costing me over double the original price. I am thoroughly unsatisfied. I look forward to atleast my 20$ rebate. Paperwork over and done(there's ALWAYS paperwork), the process was easy-peasy and I am moved in! curteous office staff, good selection of storage lockerfs. Very satisfying, professional, efficient and friendly. I had an easy time, the people were courtious and friendly. The unit is rodent treated and gated. the staff answered all my questions. it was a great experience. The only thing that was somewhat a suprise was that the internet price was good only for one month and that was not mentioned in the add. Did not find that out until half way through the paper work. Had I known before I might have elected to go with a storage company that offered the first and or second month free etc. But we are here now and will live with our choice. Next time a little more through. Thank you. I had first paid for a unit that was too small and they were able to transfer me to a bigger unit with no trouble at all. It was ok. Nothing special. Integrity and kindness seem very rare these days. Excellent service and honest people. Really awesome to have the free truck to move my stuff with.That was the best selling point. 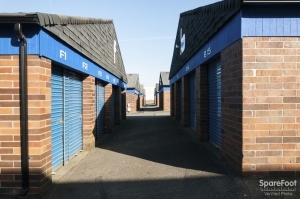 I have had Storage with Affordable Self Storage in Kent for 2 years, I wanted to say how every helpful all of the staff have been. Every time I have called to make a payment , the ladies have been nothing but nice. If I have been a little late they have taken the time to give me a reminder call. So that I didn't end up with a late fee, this has be helpful. 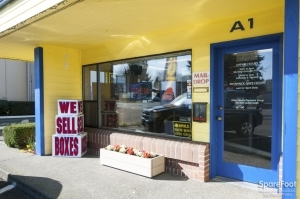 I just wanted to say Thank you , to all of the staff at Affordable Storage Kent, So Thank you Shelly, Peggy, & John for the Great Customer Service , and keeping my things safe for me. They were very accomodating to my specific needs now and in the future. They should complete all paperwork PRIOR to moving into the storage unit as I had to pay movers an extra hour of having them sit and wait - out $50.00 for two at $25.00 per hour. My parents unit was stripped clean of all their things they have been collecting for retirement...200k worth. I will be ensuring that a serious investigation takes place. Wheres the security cameras at the gate...?..I know it was an inside job...or was It? Shelly was great! She went over the sizes and prices and then suggested I look at the units to see what would work best. Good thing I did because I needed a bigger unit than I thought. She got me in and out in under 30 minutes and even though she was really busy she was cheerful, polite and pleasant. I will recommend this facility to all my friends and family!! The ladies at affordable storage were very helpful. They went out of their way to get us the best pricing and service. I appreciated all the input and suggestions. Thank You! My family and I were relocated up to seattle from California. I needed to place all my things into a locker until we found a house. I needed a large enough locker to facilitate everything. The manager was very friendly and helpful. The price was great and the manager even gave us info for Realtors to help us find a home. Paper work took a little long, but they were very helpful. Made sure i got the right size unit for my needs , explained all available options, units and facility are very clean, and use of truck a big plus. And very friendly . Very Helpful, a Good Deal ! 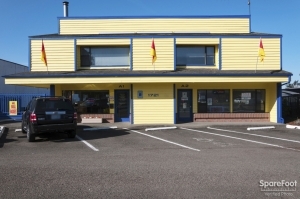 I found the staff at Affordable Self Storage in Kent to be very helpful in making the paperwork as easy and understandable as possible. The Unit I rented was clean and in very good condition. The locking system for the units are of a good design that would be very hard to get into without the proper key. These are Not your average hanging padlock door locks that anybody with bolt cutters could get into! Overall a Great place to do Business with. 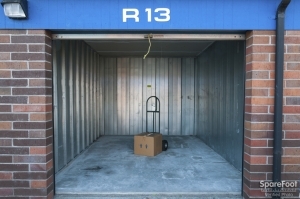 Fran was so friendly and helpful that renting a storage unit there was a breeze. 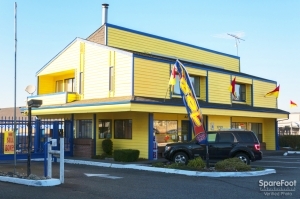 They are very affordable, clean units and the staff is great! Aren't we all these days! 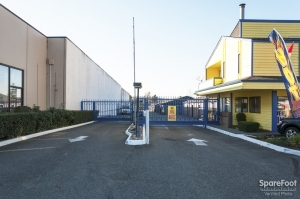 Found Affordable Self Storage in Kent on Sparefoot. Ran down there (I need visuals!) and rented the unit. Toured, signed and ready to move in in about 30 minutes!! !